Why Should I Pick An 11 Inch Laptop Over A Larger Model? What Are The Downsides To 11 Inch Ultrabooks? Can I Upgrade 11 Inch Laptops Later On With New Hardware? Much like with cell phones and tablets, laptops have undergone a revolution in design over the last 10 years. From the addition of touch screens to fingerprint readers, the average notebook computer today looks very different from when this tech was just starting off. Size is another constantly changing aspect of laptop hardware, as tiny and ultraportable 11 inch models are now readily available. Want an extremely light and compact computer? Let’s take a look at the five best 11 inch laptops currently available on the market! Although the future holds big things for ultraportable 11 inch devices, at the moment they are still on the low end in terms of hardware specs. As more advanced hardware becomes more compact, that will change. For now however, you need to understand you aren’t likely to find a high end gaming rig or business class machine. Usually, 4GB of RAM is about the max you can get with an 11.6-inch laptop. Storage space will also be quite limited, so be aware that these devices aren’t meant for saving large files. When you go with a tiny 11 inch machine, you’ll need to either save your data online or pick up an external USB drive. Those downsides pale in comparison to the unrivaled portability of these tiny mechanical wonders, however. Ready to dive in and see what’s available at every price point and for every kind of user? This year, there is no shortage of 11.6-inch laptops available, but a few stand out from the rest. 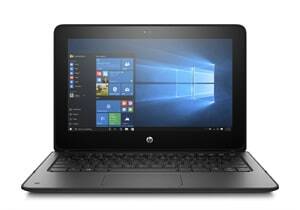 For the 2-in-1 hybrid crowd that wants to stick with Windows, HP’s ProBook should easily be at the top of your list. 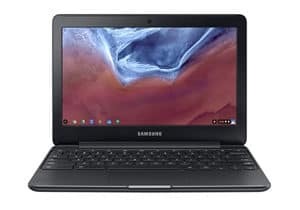 If you prefer the Chrome OS, then Samsung’s Chromebook 3 will instead be your best bet. 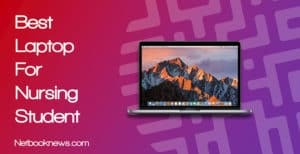 Finally, for the Mac OS enthusiasts, don’t overlook the 11 inch MacBook Air! Prefer the tablet design of a 2-in-1 laptop but still want Windows 10 instead of the Chrome OS? This should be your pick for the best 11.6 inch laptop! 11.6 inch laptops are the perfect size for a hybrid 2-in-1 design. Due to their small size, they work well as touch screen tablets or as 90 degree angle portable computers. When looking for an 11 inch hybrid model, you want to make sure you get the best of both worlds. With Windows 10 and a spacious, well-design keyboard, that’s what you get with HP’s x360 ProBook. 4GB of RAM and a 64GB solid state drive are usually at the upper end of what you can expect from a device of this size. There are really only two downsides here, and they are both pretty minor. Despite being a 2-in-1, you don’t get a stylus included with this model. If you like to scribble notes or doodle designs, you’ll need to buy a touchscreen pen separately. 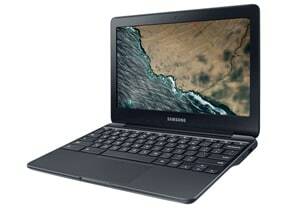 This model is also slightly heavier than many other 11 inch devices, at just over three pounds. That being said, the ProBook is still significantly lighter than any larger laptop. 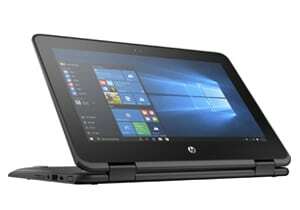 In fact, buyers often mention how the light size and hybrid nature work well for students needing a portable computer. What a durable Chromebook with great specs that will last you years to come? This should be your pick if you don’t mind losing out on the touch screen display. In terms of overall specs, Samsung’s contender is actually quite similar to the HP listed above. There are two main differences here — this isn’t a touch screen, and you swap Windows 10 for the Chrome OS. Chrome OS offers an experience somewhere between an Android tablet and a full laptop. It isn’t meant for running Windows programs, but you don’t lose many options since you can still use Google Play apps. 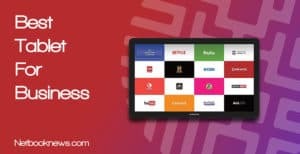 For users who mostly browse the web, stream videos, and send emails, this is an excellent pick. Obviously 64GB isn’t a ton of storage space, but with a Chromebook you are meant to save data online. If you really need storage, there’s multiple USB ports as well. To top it all off, you get really solid battery life here that will outperform most Windows machines. Buyers typically don’t have many complaints about this machine, but they do often warn about some difference sin keyboard layout. You will need to get used to a more compact design that’s slightly rearranged. For instance, there’s no dedicated delete key on this keyboard. Instead, you’ve got to learn key combo shortcuts to use all the features you’d expect from a full size keyboard. Want to engage in some casual gaming with indie Steam entries or older 3D titles? This should be your pick if you need to stick to an 11 inch laptop! We need to be clear about one thing right off the bat — 11 inch laptops aren’t really meant for gaming. That being said, you can still get some casual gaming use from them, if you look for the right model. With DDR4 RAM and Windows 10, this tiny computer will get Steam up and running. To be clear, you won’t be able to play anything close to modern AAA titles at stable frame rates. Plenty of older titles and 2D indie games will run, however. There’s another big downside to smaller laptops for gaming besides just decreased specs. Since they generally have more cramped keyboards and tiny touch pads, you’ll have trouble with key bindings for online games. That’s why Inspiron 11 outclasses its competitors for gaming. This model features a better layout than a lot of other ultrabooks, with more keys and the power button on the side rather than built into the keyboard. 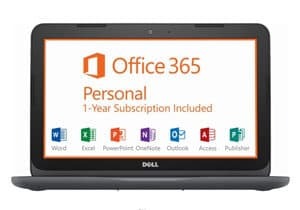 As a bonus, if you want to multitask and use this machine for other purposes, it comes with a free 1 year subscription to Microsoft Office 365. 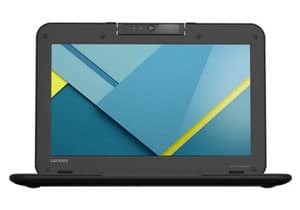 Keep in mind that Chromebooks now have access to the full suite of Android apps, so going that route can also be a valid means of gaming. Old RPG favorites like Chrono Trigger are available in app form, as are plenty of newer gacha games and strategy titles. If the games you want to play are available through the Mac OS, be sure to take a look at our next contender as well. 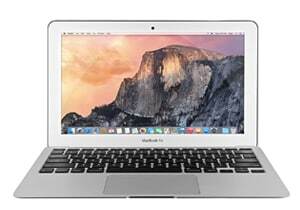 The MacBook Air may not have Windows, but it does sport a better processor. Looking for a lightweight 11 inch laptop with great specs? This should be your choice if you’re willing to go to the Mac OS instead of using Windows or Chrome! Windows-based machines tend to beat out Apple products in terms of raw hardware specs. The reverse is actually true here when you stick to 11 inch models, however. 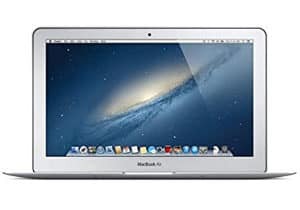 Although the MacBook Air is getting to be a few years old now, it’s actually a better machine than most newer Windows or Chrome OS ultrabooks. The Air MD711LL easily has the best processor of any 11 inch laptop in our list of contenders. It also has some of the most storage space, with an 128GB solid state drive right ouf of the box. To stay under the $500 threshold with that level of specs, you’ll have to go with a certified refurbished unit, however. These MacBook air models have been used before, but repaired and restored to factory settings before being shipped out again. If you’re willing to spend a little over $500, you can find this particular machine in new condition as well. Need a tiny, compact laptop with a super low weight that gives all day battery life? The Lenovo N22 should be your pick for the best 11 inch notebook! Want to spend all day writing at the coffee shop or working on projects during a long trip? Lenovo’s N22 is an 11 inch laptop that doesn’t skimp on the battery life at all. For basic tasks like video streaming or typing up emails at lower screen brightness settings, you can seriously get 14 hours on a charge. At full brightness settings the duration is shorter, but will still easily last a regular work day. The overall hardware specs are on par with the other contenders above, but there’s another way where this machine shines. The N22 features a microSD card reader, 3 USB ports, and an HDMI port, so its on par with a full size laptop in that regard. Buyers often mention two main features here. First off, although the keyboard is more compact than with a full size laptop, it does have more buttons than many other 11 inch designs. Second, this model doesn’t have an ethernet port, so this is a wifi only machine, although that’s becoming less and less of an issue over time. One word answers this question above all others: portability. 11.6 inch screens allow for a much smaller, much lighter chassis than with any other style of notebook computer. While the average 15 inch laptop has become lighter over the years, these tiny ultrabooks will still be significantly less heavy. The upper end of the weight spectrum for 11 inch machines is usually three pounds. Most models of this size are well under that threshold, with an average weight around two-and-a-half pounds. It’s not just the weight, but also the overall profile that offers enhanced portability. With the exception of a few bulkier rugged models, most of them are an inch or less thin when closed. If you don’t have much room to carry a larger laptop and just want to throw your computer in a bag or purse, then 11 inch models are the perfect option. 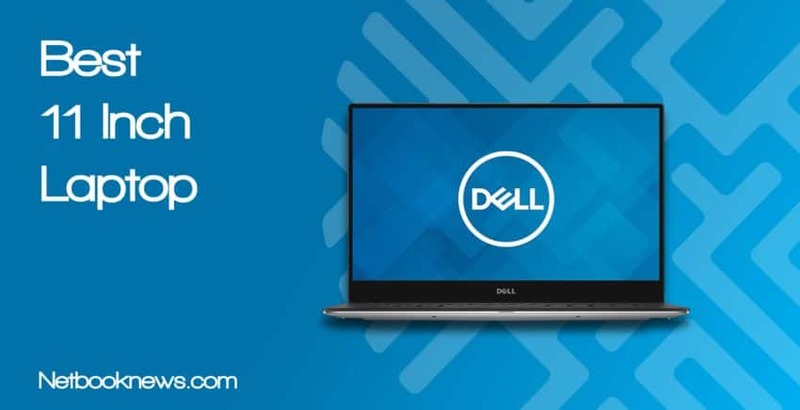 Whether you are headed from home to the coffee shop or traveling between classes, these laptops are light enough to carry all day. In their current configurations, 11 inch laptops will always have far lower specs than 14 or 15 inch models. In general, they top out at 4GB of RAM and usually have slower Celeron processors. The main issue there is simply one of space, as there isn’t room to pack in 8GB of RAM and and a dedicated graphics card. Due to that small size, you also typically get a tiny solid state drive. Your average onboard storage will be 32GB, with a few models in the 64 – 128GB range. There’s a problem with that storage space beyond just less room for saving files that many users don’t recognize at first If you pick a Windows 10 machine, Microsoft’s automatic updates will be a frequent issue. When you only have 32 – 64GB of onboard space, Windows will eat up your storage capacity very quickly. Make absolutely sure to buy an external USB hard drive or SD storage card for saving your files, or you will run out of room immediately when Windows updates. Unfortunately, this is the other main downside to 11 inch models. Much like other extremely thin ultrabook models, laptops of this size aren’t designed with upgrades in mind. In the vast majority of cases, the 4GB of RAM will be soldered directly to the motherboard, with no second slot available. That means that even if you do manage to crack open the case (which isn’t recommended), there won’t be any way to increase the memory anyway. With every last inch of space used up by the motherboard, processor, and USB ports, there’s also very rarely an M.2. slot. Don’t expect to be able to throw in a larger SSD down the line. The only way to perform “upgrades” on these machines will be with external devices. 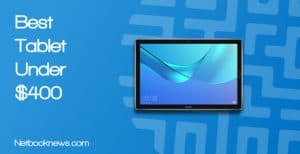 They almost always come with USB or SD card slots, so you can plug in hard drives or connect to external monitors and keyboards. 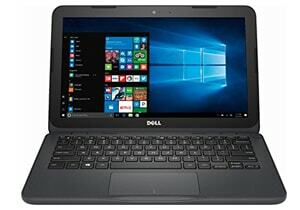 Did you find a lightweight and portable laptop that will work for you in our list of contenders? 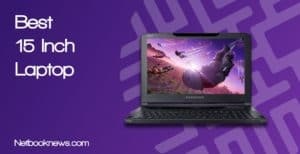 Whether you are a Windows, Chrome, or Mac fan, one of these options should be your personal best 11 inch laptop choice! 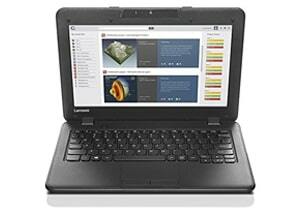 Have you seen any other great 11 inch portable computers hit the market recently that we missed? Be sure to let us know which ones we should be looking at in the comments below! Size matters! 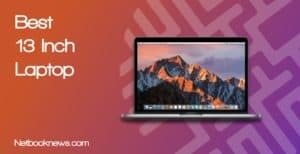 Check out our best collection of best laptop pick by size..
Hello.This article was really fascinating, especially since I was searching for thoughts on this subject last Tuesday.